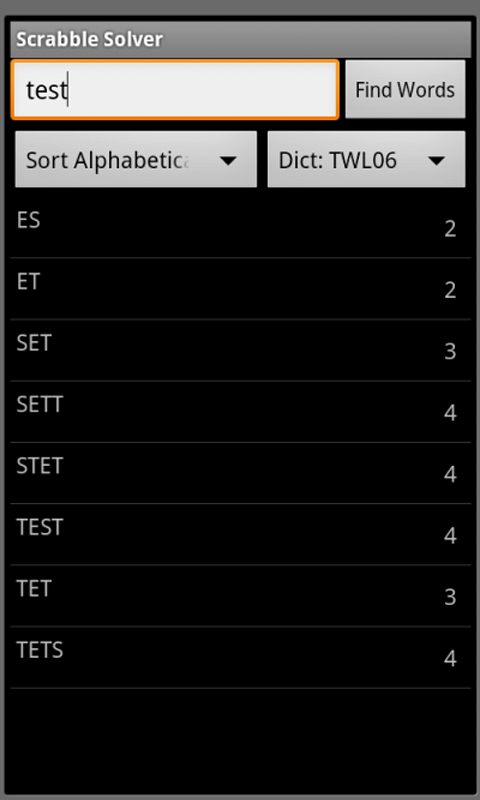 Anagram solver finds words for games such as Scrabble, Wordfeud, Words with Friends, and Word Smith. Uses US English TWL word dictionary as well as SOWPODS. Results are sortable by alphabetic order, word length, and word score. Scores for each word are displayed next to the word. Input length is unlimited but results take longer to load as the input length increases. Also useful as a dictionary checker when playing the board game.